Directed by M. Night Shyamalan. 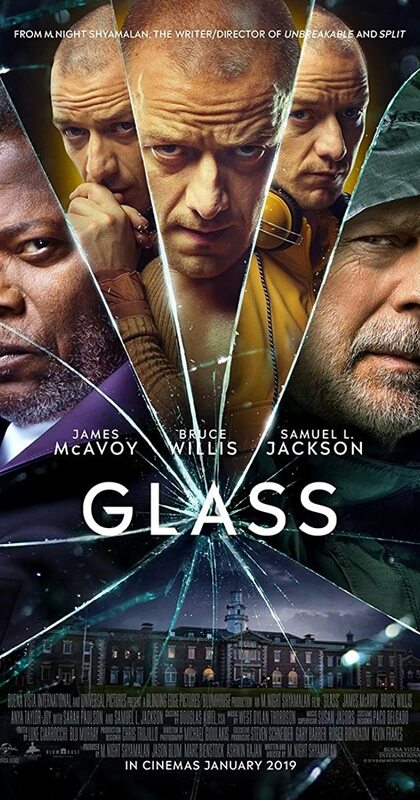 With James McAvoy, Bruce Willis, Samuel L. Jackson, Anya Taylor-Joy. Security guard David Dunn uses his supernatural abilities to track Kevin Wendell Crumb, a disturbed man who has twenty-four personalities.